The Monroe County Board met in a special session Wednesday afternoon to discuss and approve its 2014 budget. He noted that the county has been “well run in an era of declining property taxes, and the county has achieved a better credit rating” (AA, up from AA-, according to Standard and Poor). He said many Illinois counties have run deficits recently, while Monroe County has actually seen slight surpluses. Assessed property evaluations have declined, he noted. But sales tax revenues have gone up, which reflects improving economic activity of about 0.7 percent in 2013. “Some counties have seen 16 percent sales tax drops,” Schmersahl said. The budget calls for expenditures of $6,419,507 — up from $6,350,525 in 2013. In a special session, the Monroe County Board ended fiscal year 2013 last Wednesday by approving next year’s operating budget of $6,419,507 — a slight increase from $6,350,525 in the fiscal year just ended. Schmersahl complimented the commissioners and county employees for the way the county has been “well run.” He cited the recent Standard & Poor’s credit upgrade of Monroe County, from an AA- to an AA rating, as ample evidence. This will result in lower interest rates for any necessary borrowing, including the recent rebonding of the Oak Hill elder care facility. He also noted that many Illinois counties have not weathered the economic downturn in recent years as well, and are running deficits. “Some counties have seen as much as 16 percent drops in sales tax revenues,” he noted. Monroe County, on the other hand, has seen business activity move ahead modestly — up 0.7 percent in 2013. Coupled with judicious spending, the county’s budget has been in balance and its credit rating has improved. This has been accomplished even as assessed property valuations have fallen in recent years. The peak there came in 2009, when property values reached $811 million. They fell to $741 million in 2013 as a result of declining real estate values. The Monroe County Board opened its new fiscal year on Monday morning. 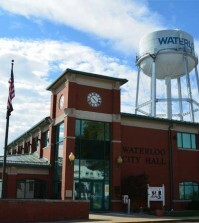 The first order of business was approving the list of banks the county uses to deposit funds received. In other action, the commissioners re-confirmed Delbert Wittenauer as County Board Chairman and Terry Liefer as Vice Chairman. 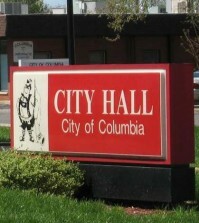 Appointments approved were Columbia Police Sgt. 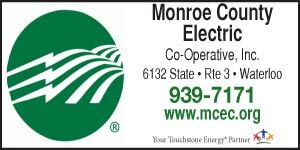 Josh Bayer to the County 9-1-1 Emergency Telephone Systems Board; Delbert Wittenauer to the East-West Gateway Coordinating Council; Mike Kovarik to the Southwestern Illinois Law Enforcement Commission; and Marge Francois and Judy Vogt to the Monroe County Board of Review. The commission closed its regular session by approving next year’s lease with the Monroe County Health Department for space in the Annex Building, for a rent of $43,212.